The practice of prompting a SWAT team to be sent to someone's house under false pretenses is known as "swatting"
A SWAT team, bomb squad and hostage negotiators hurried to a family's home in Northern Virginia early Thursday after someone placed a 911 call falsely claiming the family was being held hostage, police say. The family in Arlington was found shocked but unharmed. "The family we came into contact with had no prior knowledge that this was going on," police department spokeswoman Ashley Savage told News4. 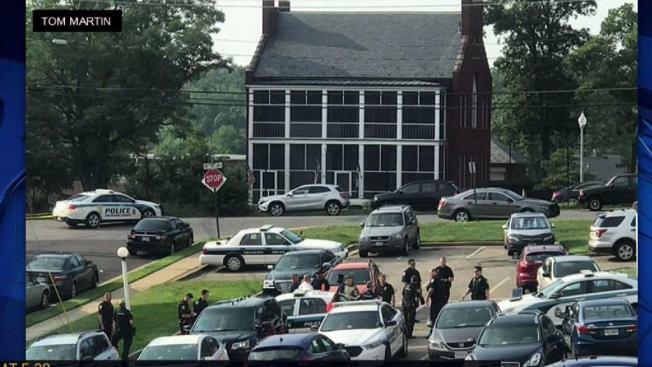 Police in Arlington received the call about 6:05 a.m. Thursday from someone who said they were holding a family hostage on the 1200 block of Fort Myer Drive. The SWAT team rushed to the house, where a child lives. Neighbors saw a swarm of police and fire vehicles. But first-responders found no one in apparent danger. They searched the house for hours and finally gave the all clear at about 8:50 a.m. The motive for the false call is under investigation. The practice of prompting a SWAT team to be sent to someone's house under false pretenses is known as "swatting." CNN reporter Wolf Blitzer was the victim of a swatting hoax in 2013, as News4 reported. Someone claiming to be Blitzer falsely said in a text message to police that he had shot his wife. False reports waste police resources and rob officers and firefighters of time they could spend serving people. "This diverts police assets away from legitimate calls for service," Savage said. Whoever placed the fake 911 call in Arlington can be charged with filing a false report, which is a misdemeanor. The punishment is as much as a year in jail and a $2,500 fine. Anyone with information on the crime is asked to call police at 703-558-2222. Anonymous tips can be made by calling 866-411-TIPS.